Breakfast at Tiffany's? This elegant cocktail ring entitled "Midnight Satin" is reminiscent of the 50's era where statement jewelry was favored over everyday pieces. 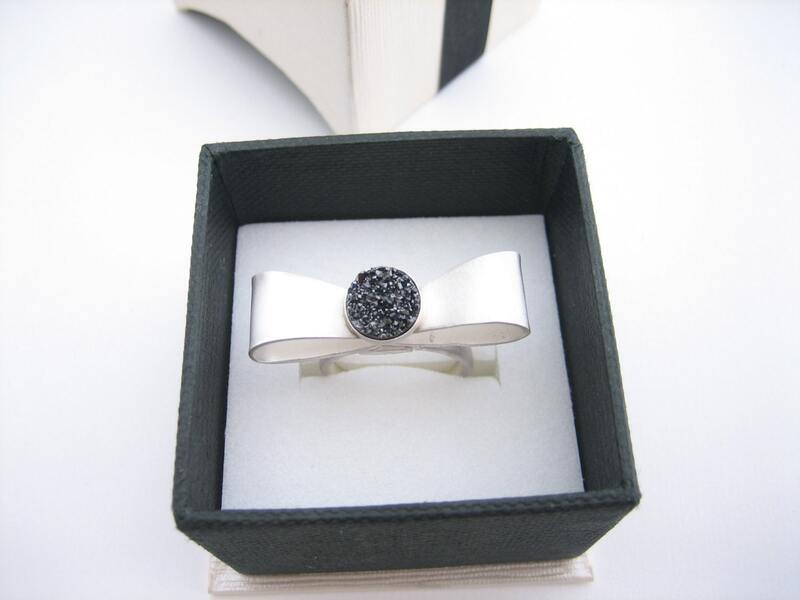 My modern interpretation is a sleek little silver bow that quietly sparkleswith a black druzy quartz in the center but sure enough to catch attention. Sterling silver hand formed adjustable ring is very comfortable to wear. Hand fabricated, hammered, soldered and bezel set. Satin finish. Accommodates sizes 7-9.